Around since the 1920s, modular building involves the construction of buildings in parts, which are then pieced together on site. It is the construction method’s use in apartment buildings that is a new concept in Australia. 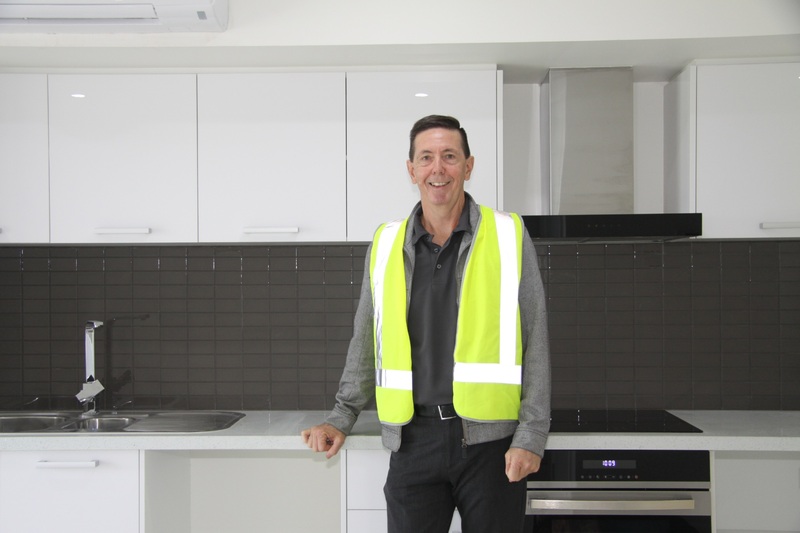 Rockingham businesses Stack It and builder Qualstruct are in the final days of their modular build Coast Apartments in Rockingham. About 30 modules were assembled in China, including all interior fittings such as bathrooms and kitchens, and then shipped to Fremantle. Trucked to the site, they were craned and bolted in place across three days, resulting in a two-storey complex with 13 apartments above commercial tenancies. Services such as plumbing and electrical were performed on site by local tradespeople, along with floor coverings and exterior rendering. Coast Apartments will have another first: a rotary car-stacker, allowing 16 cars to be parked in the space of four. Stack It part-owner Ian Duperouzel said the apartments had generated huge interest. “With modular being relatively new, people have said ‘I love the idea’ but as they were assembled in China, they are keen to know how well they are actually built,” he said. “Almost complete, this is our proof of concept. “It has allowed others to have a look through: builders, architects and developers of traditional builds. “The feedback we have had on the level of finish and fit-out has been very good. Mr Duperouzel said with anything new, there were always lessons to be learnt but the process had been smooth. “Being the first one, we have learnt lessons on how to streamline the process for future projects,” he said. Mr Duperouzel said modular was a viable option for building efficiency. “It definitely has its place,” he said. “This particular build of apartments works out about the same costs as a traditional build of two storeys. “The saving is the time factor; they will be complete within about two-thirds of the time. With that in mind, student housing, hotels or vertical retirement living could be revolutionised by modular. The apartments are thermally and acoustically rated. “We have also overcome sick building syndrome. There is a heat recovery ventilator that constantly cycles air, filtering out pollen and dirt. “It is a balanced air-cycling system, drawing air in and out, taking out heat to make cold air. He believed it would not threaten tradespeople’s jobs as overseas assembly did not suit everything. “Modular works where you need to replicate and duplicate,” he said. “If you wanted a chamfered corner for instance, sure you could do it in modular, but it doesn’t really work out. “The big thing people need to get over is the bricks and mortar mentality. “It’s not always the best. “Bricks are no good if there is a lot of movement.